"A wizard is never a minute late or a minute early. Primarily I see many people wanting to have Numerology reading for example when they are considering changing their name. Do you use your middle name or not? What is your best power name to use? Numerology can impact on your life in the most extrodinary way, usually people that really want change in their life have a Numerology reading. Are you looking or are you ready for the change? "Be bold, take risks, be brave, be strong." If you are interstate or overseas and wish to complete my 4 hour certificate Numerology workshop using the Skype facility, we can arrange a day and time that best suits us both for you to learn this procedure. I do teach the Pytharorean method, as this is the most popular way and it works really well with all the other modalities such as Tarot and Astrology, etc... Others will understand and connect with the numbers more readily as well. Numerology is an ancient science or an art derived from many systems and cultures. Over the years Numerology has been used as a divination tool through to historial usage in Astrology, Astronomy, Alchemy and chemistry and is in fact seen today as a pseudo-mathematics by modern scientists. I use a Pythagorean based Numerology system. 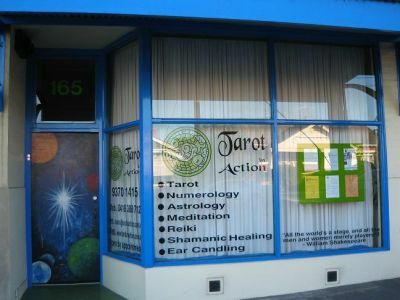 It is the most popular system and it aligns well with all other modalities that I also teach ie: Tarot and Astrology.